From a young age I was part of societal prejudice. I grew up in Egypt, and for a long time I refused to acknowledge my own sexual identity and maintained the belief that LGBT+ people should be punished. Why? Because we are taught to hate ourselves. I started writing in Arabic to say that we exist and that it’s OK to be us, but I was limited by the choice of words that existed. Language is so powerful. Until very recently, modern Arabic didn’t have any positive vocabulary towards LGBT+ people. Imagine trying to tell someone they should accept themselves, while having to use words that insult them? That’s why the birth of the word Methly (‘like me’) is so important – because it says that LGBT+ people are human too. When I first read it, I remember staring at the computer screen with tears of joy running down my face. My language was changing: it was becoming kind to me. My mother, brother and sister were deported in an Immigration Dawn Raid. My mother had claimed asylum in the UK, and for a while we were all living in a one bedroom in a shelter on the Newport Road. I was left alone in the UK. It was devastating. Eventually I was granted refugee status and, even though I wasn’t in the best state, the first thing I did was apply to Cardiff University’s Engineering programme. I was so lucky to have a wonderful tutor and fantastic help from the University Support Services to encourage me when things were hard. During my time at Cardiff, I joined the Student Action for Refugees Society (STAR). My main focus at STAR is the Equal Access campaign. Refugee women know that education can change lives, yet it is being denied to some of the world’s most vulnerable people. When I started the campaign, very few universities accepted Asylum Seekers as home students; now, around 60 do and I’m proud to say that Cardiff is the first Equal Access University in Wales. Thanks to my Masters degree, I believe I’ve just changed the world! I’ve always been fascinated by the magic of electronics, and I got the opportunity to develop something truly amazing. I worked in a great research group and benefited from the wealth of knowledge Cardiff University has in the field of Electron Paramagnetic Resonance (EPR). It’s a technology comparable to MRI scanning. Current EPR technologies fill up entire rooms and cost millions of pounds. What I developed during my Masters is no bigger than a food tray and only costs a few hundred pounds! Just imagine one day being able to detect cancers with a device no bigger than a mobile phone. Women in Science, Technology, Engineering, and Maths (STEM) have conquered so much just to get there. When I started my degree, only 8% of UK engineers were women: the lowest ratio in Europe. We need role models in these fields to demonstrate that STEM is an option all girls and women can pursue. And who knows what amazing things they could develop? I’m happy to say that Cardiff does its bit, and I have participated in countless STEM outreach programmes through the University. My degree takes a lot of work, so I use the summer to focus on my dancing and campaign work. I’ve performed around the world, in Europe, the USA and Japan. 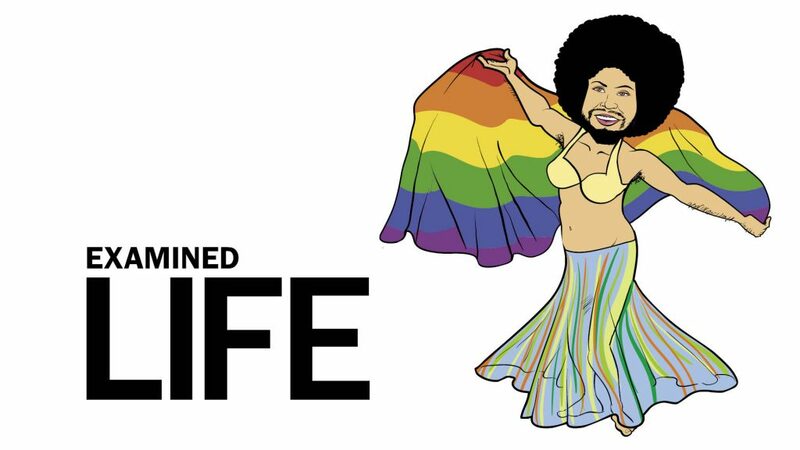 I do traditional Belly Dance in drag and with a beard to protest the treatment of LGBT+ people in my country. One of my friends was once imprisoned for waving a Rainbow flag at a concert. I always try to do parts of my shows in both English and Arabic because, even with new terms like Methly, it’s still revolutionary to be able to talk positively about LGBT+ experiences in Arabic. It was incredible to be named ‘Young Woman of the Year’ by the UN High Commission for Refugees. I felt overwhelmed to be recognised by one of the most influential bodies in the world, and to be surrounded by powerful women who are working hard to change lives. My time in Cardiff has definitely sculpted the person I am today and I wouldn’t be the same had I studied anywhere else. I love Wales and I even consider myself partly Welsh! Cardiff is my city; Cardiff is my home.